Google’s Pixel 2 comes with one of the best-rated smartphone cameras in the world, and is one of very few single-lens devices to offer a background-blurring, fake bokeh portrait mode. Unlike dual-lens setups, the camera uses machine learning and neural networking to generate a foreground-background segmentation on both front and rear cameras. On the rear, the Pixel 2 also uses depth data from the image sensor’s dual-pixel technology for this task. Thanks to Charles Chow, developer of the Camera NX Google camera mod, the feature is now also available to users of the original Google Pixel as well as the Nexus 5X and 6P smartphones. 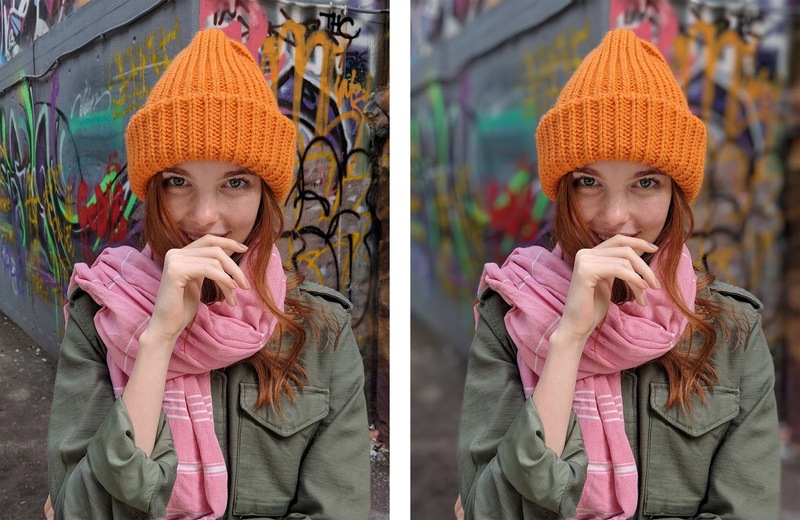 Portrait mode was included in version 7.3 of the Camera NX app but, due to a lack of dual-pixel technology on older Google Android smartphones, uses the exclusively software-based approach of the Pixel 2’s front camera. The developer says the functionality has so far only been tested on the Nexus 5X, although it should work on Nexus 6P and first generation Pixel phones as well. If you want to try Camera NX and the new Portrait Mode you can find all technical details and download links in Charles’ article on Chromloop.